carved in the Glagolitic Script. The Baška Tablet is one of the most important monuments of early Croatian literacy, dating from arround 1100. 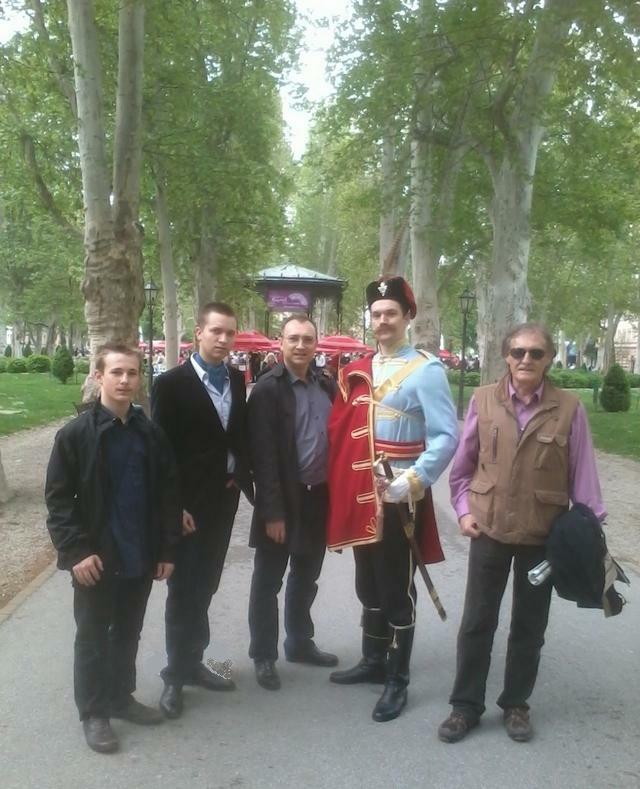 Mr. Michel Iellatchitch, citizen of France living in the province of Alsace, visited the city of Zagreb from April 25th till 28th with his two sons Victor and François. His daughter Josephine did not come this time. 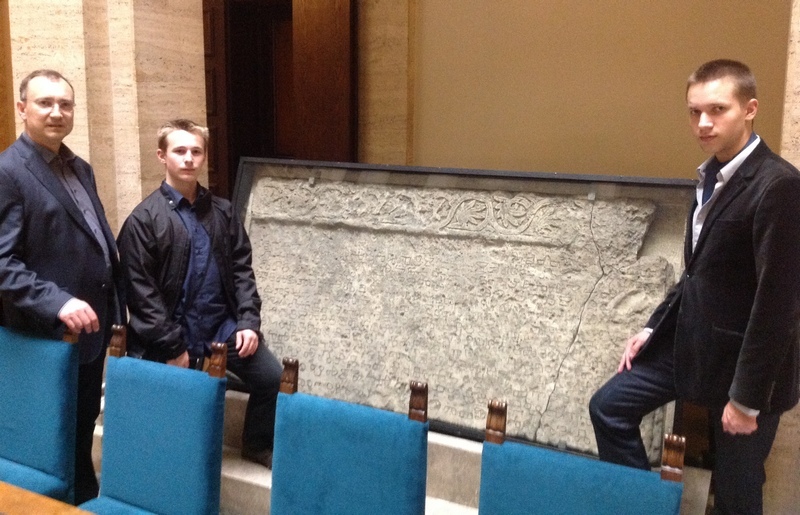 Mr. Iellatchitch and his two sons payed a visit to the Baška Tablet, a famous Croatian Glagolitic monument from the 11th century, kept in the palace of the Croatian Academy of Sciences and Arts. 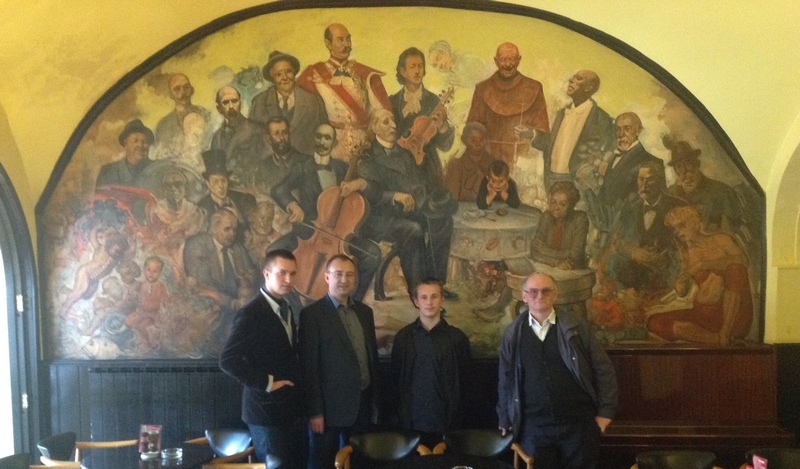 They have also visited the Kerempuh caffe, which has a huge wall painting representing various distinguished Croatian historical persons, writers, artists, etc., and among them the most distinguished place has Josip Jelačić. Josip Jelačić was Croatian ban (Governer) in the mid 19th century. While walking through the Zrinjevac park, a local guide, describing them important Croatian persons in history, asked them if they are familiar with the name of Jelačić. They said: "Yes, we are Jelačić's!" Mr. Michel Ieallatchitch was also in contact with some descendants of the Jelačić family in Croatia, for example, with Mr. Marcel Jelačić and with Mr. Dubravko Jelačić Bužimski, both of them members of Croatian Nobility. Mr. Dubravko Jelačić is a well known Croatian writer. on the top of which is represented a famous Croatian ban (governer) Josip Jelačić from the mid 19th century. The main square of Croatia's capital Zagreb is bearing the name of Josip Jelačić. Victor, Michel and François Iellatchitch in the building of the Croatian Academy of Sciences of Arts in Zagreb. 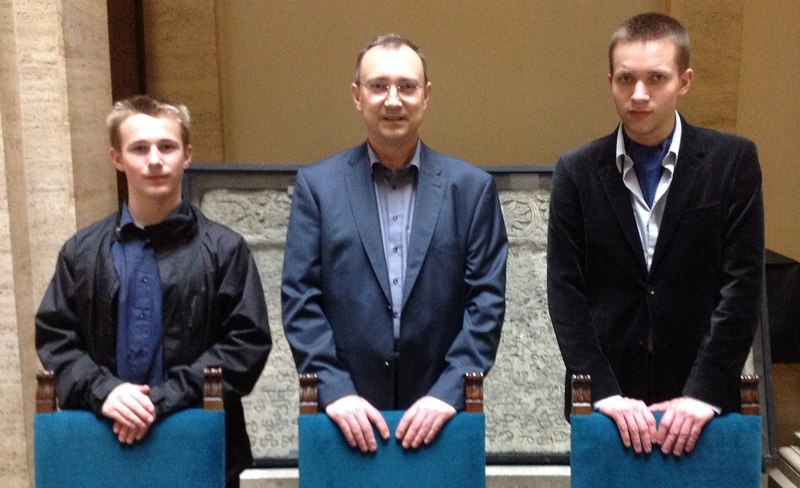 Victor, François and Michel Iellatchitch with their host D.Ž. in the Kerempuh Restaurant in Zagreb. and with Mr. Dubravko Jelačić Bužimski from the city of Zagreb, distinguished Croatian writer. if they are familiar with the name of Jelačić. They answered all at once: "Yes, we are Jelačić's!"